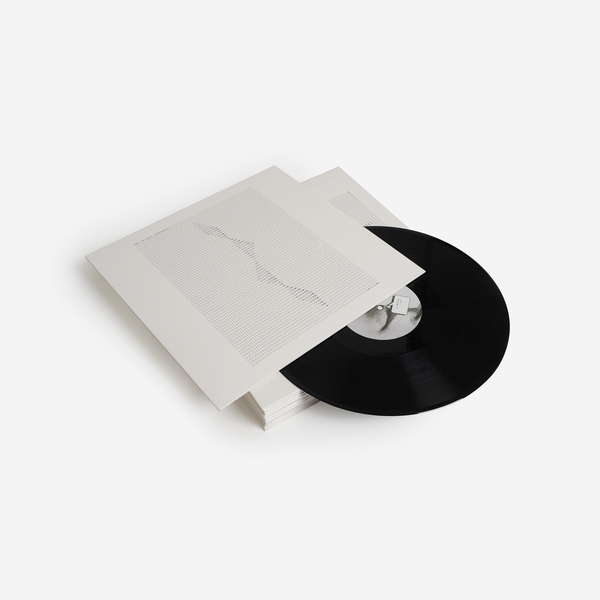 Following the reissue of his timeless Loop Finding Jazz Records last year, Jan Jelinek returns with a transitional new album ‘Zwischen’, which is made up of versions of pieces recorded for German public broadcaster SWR2. It includes twelve sound collages which make use of fragmented interviews provided by public figures including John Cage, Lady Gaga, Stockhausen, Yoko Ono, Joseph Beuys, Marcel Duchamp and others. 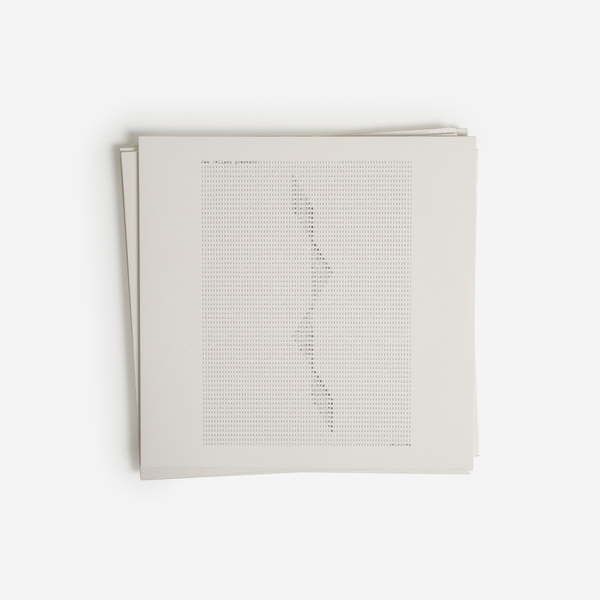 Jelinek uses fragments of each voice to create highly evocative soundscapes, a conceit not unlike the use of Jazz loops on his much loved classic. Jelinek focuses on intonation, umming and ahhing, silences, pauses for breath and hesitations which dictate the pace and mood, the resonance and tone of each interviewee providing the textural core of each piece. These same vocal fragments also control synthesized sound, creating overlays that merge with the voices to make twelve synthetic/acoustic structures. As Jelinek explains "We all know the speaker’s fate: you falter, you mispronounce, there are breaks, silences and false starts. This results in delays, a language noise compared by Roland Barthes to the knocks made by a malfunctioning motor. Such gaps can be disconcerting, standing as they do for a failure of the speaker’s rhetorical skills. But what happens when they become a constitutive, poetic factor? Zwischen consists of twelve answers to twelve questions. The answers were all recorded in interview situations. From the speech of the interviewees – all eloquent public figures – the pauses are extracted and edited together. 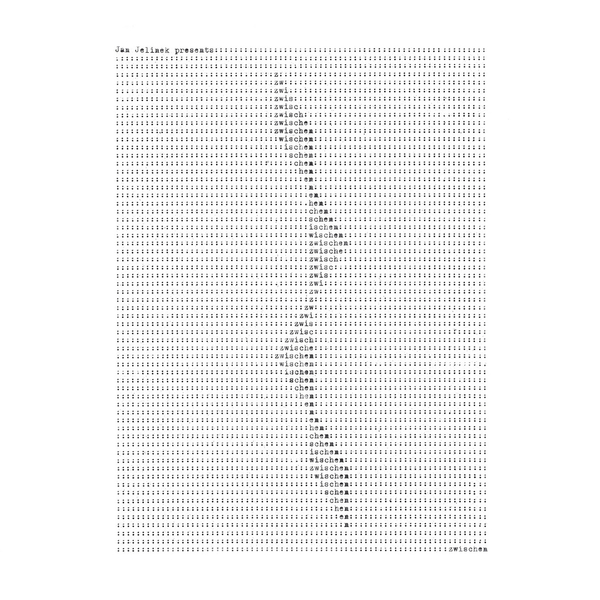 The result is a series of sound collages of silence. But this silence is deceptive, as it is only meaning that falls silent. What remains audible is an archaic body language: modes of breathing, planning phases, seething word particles in search of sense that can break out into onomatopoeic tumult or drift off into sonorous noise. In a further step, each of the twelve collages controls a modular synthesizer via its amplitude and frequency. Supposedly defective speech acts conduct synthetic sounds and the speakers regain their composure – not via the spoken word, but through sound. The opening questions in the various interviews are answered by: Alice Schwarzer, John Cage, Hubert Fichte, Slavoj Žižek, Joseph Beuys, Lady Gaga, Ernst Jandl, Karlheinz Stockhausen, Marcel Duchamp, Friederike Mayröcker, Yoko Ono and Max Ernst. 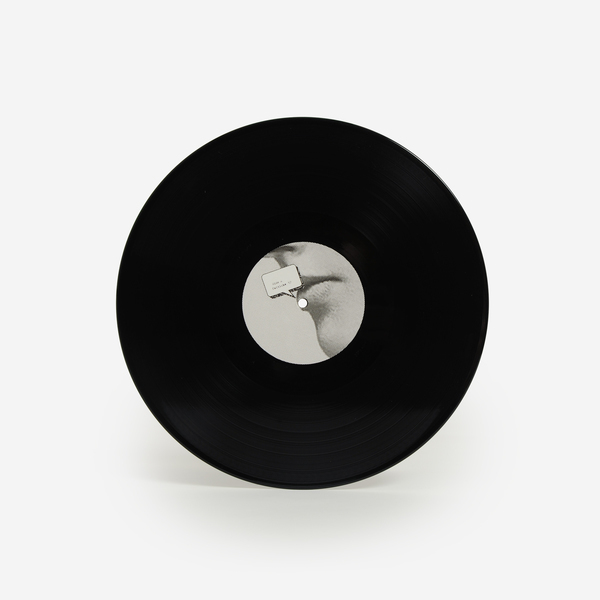 Back in stock - Edition of 500 copies, ships for release date.